Rev. Donald Deloyal Fullum, Sr.
Rev. Donald D. Fullum, entered into eternal rest on Wednesday April 11, 2018, at the James Cancer Solove Research Hospital. Donald was born February 29, 1944, in Aliquippa, Pennsylvania to Bessie M. Miller and Donald Deloyal Fullum. Donald was the only child born to this union. They moved to Detroit, Michigan when he was young and he attended the Detroit Public Schools and after graduating from school, he enlisted in the United States Army, where he earned an Honorable Discharge. Donald met Bettie Lackey after returning from the military; and on October 31, 1964, they were married, and stayed married for 53 years until his death. To this union they had five sons, Donald Jr, Derrick, Daryl, Christopher, Timothy, and adopted son Phillip Porter. Donald united with the First Mt. Carmel Missionary Baptist Church in 1978, where he became an usher, a deacon, and was called to serve the Lord and became an ordained Minister, where he served under Rev. Sutton Richards Jr., until his health began to fail. Donald was employed for the Lazarus Department stores until they closed; and worked for many construction companies over the years. Donald, loved his family and loved the yearly family reunions in Tram, Kentucky. He also loved to fish, garden, and work on computers. He was very skilled at building and home remodeling. Donald is preceded in death by parents Bessie M. Miller and Donald Deloyal Fullum, sister in laws Carol Reid, Doris Lee, Dorcas Wilson, Antoinette Elder, Eloise Miller, Stella Ibom, Dixie Oliver, bother in laws John, George, James, and Samuel Lackey, adopted mother Dorothy Williams, and best friend Allen Loveless. He leaves to cherish his memory with wife Bettie Fullum, sons Deriick (Sarah) of Salt Lake City, Utah, Donald Jr., Daryl, Christopher (Kimberly), and Timothy Fullum all of Columbus, Ohio, adopted sisters Virginia Williams, Phyllis (Ronald) Allison, Barnetha Loveless, Shirley Harriston, Priscilla Thomas, Goddaughter Ceyandra Harris, favorite nieces and nephews Anita (Thomas) Mays, Phyllis (Cleavon) Glasper, Marvin (Debra) Lee Sr., Barbara Oliver, Lisa Prince, Netta, Connie, Trina, Samuel Lackey Jr., and a host of other relatives and friends. Visitation 12:00pm and Funeral 1:00pm Thursday, April 19, 2018 at First Mt. Carmel Missionary Baptist Church, 470 E. Welch Ave.
Offer Condolence for the family of Rev. 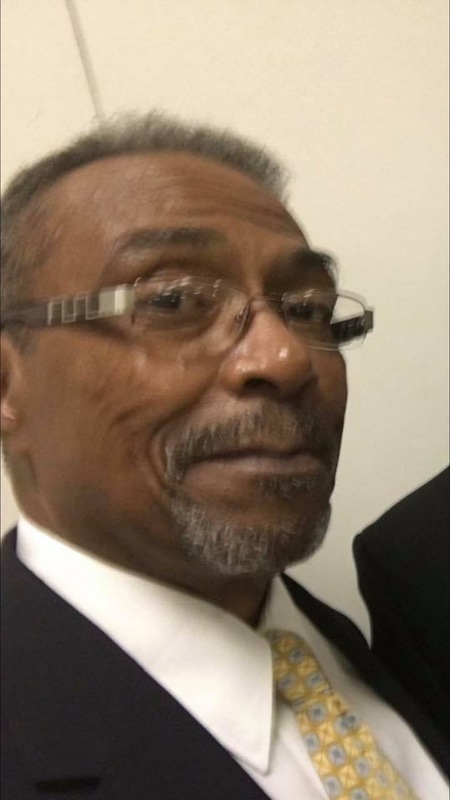 Donald Deloyal Fullum, Sr.
Online Obituary Donation in memory of Rev. Donald Deloyal Fullum, Sr.
Betty and family: oOur love and heartfelt condolences to you. May God keep each of you in His care. We love you. We the Fullum family would like to Thank you for your words of comfort and to continue praying for our family in these times of loss. There are no words to express the sorrow in our hearts. Please know that our deepest sympathy and love are with you. May the God of comfort help to ease the pain of your grief. Thinking of you. God Bless and Thank YOU, Rev. Fullum for your service in The United States Military…RIP… And Semper Fi. we send our prayers and condolences to you and your family. Reverend Fullum was a amazing man of God and he will be truly missed. Rhonda Cummings and Antonio Saunders and Angelo Bowers. The Wilson Family offer our sincere condolences to your family. Donald will be missed, especially your visits to the family homeplace. We offer prayers for strength for your family during your time of need. To the Fullum family, you have my condolences in your loss. When the family circle has been broken, it leaves a painful hole in your heart that ONLY God can fill. At Psalm 145:16, God promises that very soon He will “open your hand And satisfy the desire of every living thing.” To do so He will remove sin and death forever! I am sorry for your loss! Holding on to the joyous memories we shared. At this time may God comfort and sustain each one you individually and as a family through your loss. My love & prayers are with you all.. Love you. Our deepest condolences from the Ludaway family. Mrs. Bettie Fullum and family you have my condolences. Will keep you all in my prayers. Sorry for your loss. Nothing else I can say accept it’s hard loosing a parent who has been there.